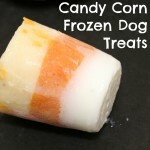 Last week I posted about the Candy Corn Frozen Dog Treats, I made to help celebrate Luna’s Gotcha Day. Even though it has finally hit the 50’s here, Luna was asking for more tasty frozen treats to munch on. 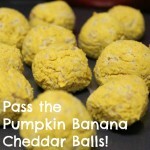 Since Halloween is only 10 days away, spooky treats were the only option. Although typical Halloween colors are black and orange, I think purple and green are pretty witchy too! Blueberries are known to aid in cardiovascular health, lower cholesterol and sugar levels, and may even have anti-cancer properties in dogs. 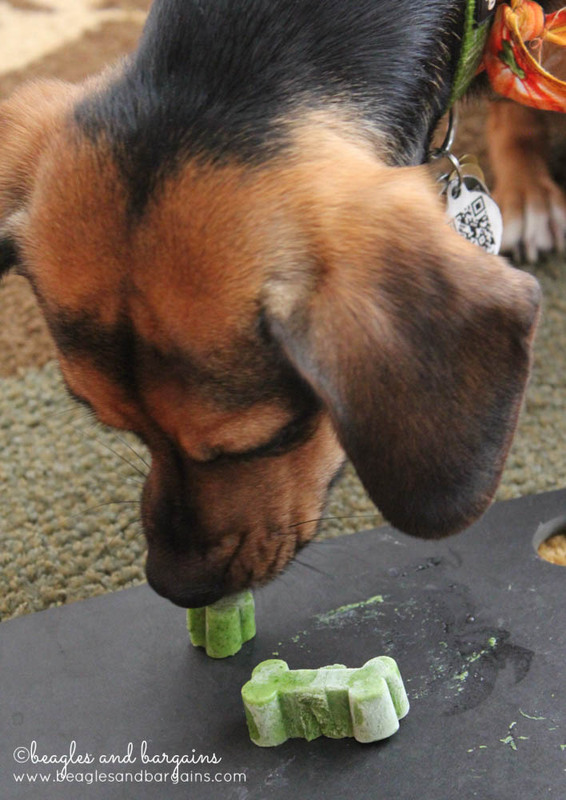 Kale is a great low calorie dog friendly veggie option that is high in beta carotene, vitamin K, and vitamin C. Blueberries and Kale also happen to make the perfect Halloween colors of purple and green. 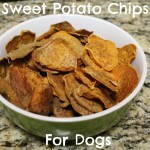 Blend together 1/2 cup yogurt and blueberries. Blend together remaining yogurt and kale. Freeze for 2 -3 hours. 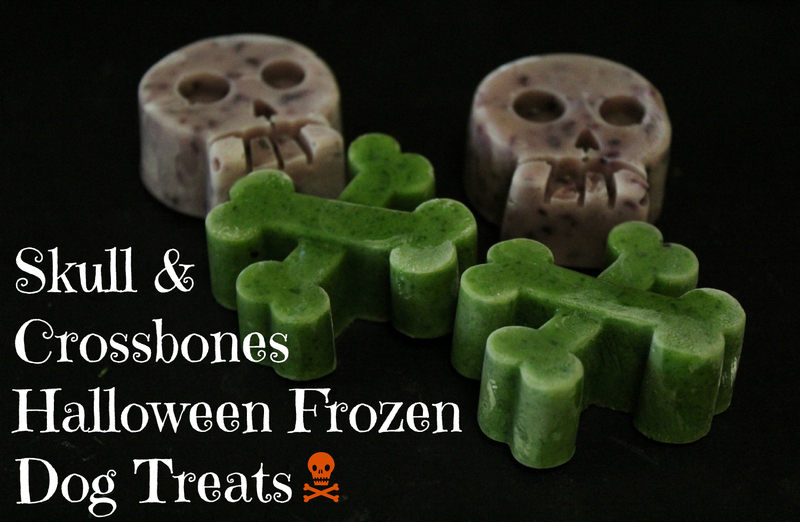 You can make these treats in any kind of ice cube mold. I picked up the skull and crossbones from Michael’s for only $1! You can find similar molds on Amazon too (affiliate link). 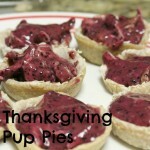 Seasonal Pup Pies – Perfect for Thanksgiving! 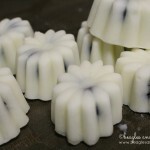 Blueberry Drops: Honey or Banana?